The Mars Society – To Explore and Settle a New World! Worldwide interest in human Mars exploration continues to grow, especially in Latin America. To further encourage this, the Mars Society is pleased to announce the establishment of a new chapter south of the equator – Mars Society Chile. The Chile-based chapter will convene its inaugural event on Saturday, December 15, 2018 (16:00 CLST) at the Natural History Museum of Valparaiso. Attendance is open to the public and free of charge. The new chapter will join other Mars Society groups in Latin America, including in Mexico, Brazil, Peru and Argentina, in promoting Mars advocacy and education in the region. “We are very excited about opening this new chapter in Chile. It will help educate our people about the importance of exploring the planet Mars and eventually establishing a permanent human presence there. We want to help find solutions to the challenges involved in Mars colonization. 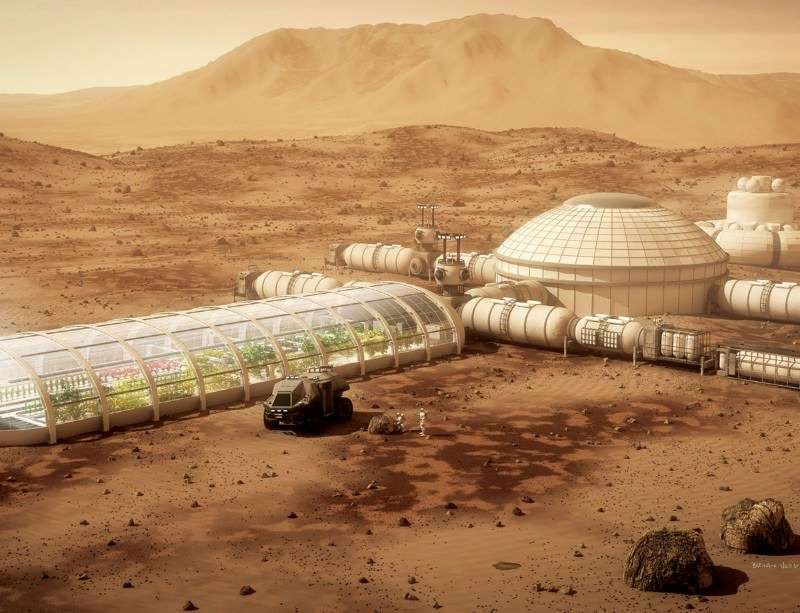 Talking about Mars will make this goal be part of the general culture in Chile,” said Priscilla Nowajewski, a representative of Mars Society Chile. To learn more about the Mars Society Chile chapter and its inaugural meeting, please contact Priscilla (pnowajew@chile.marssociety.org). The American human spaceflight program, armed with a clear goal, stormed heaven in the 1960s. But for almost a half-century since, it has been adrift, spending vast sums of money with no serious objective beyond keeping various constituencies and vendors satisfied. If it is to accomplish anything, it needs a real goal. Ideally, that goal should be sending humans to Mars within a decade. But after all these years of stagnation and bureaucratization, NASA lacks the will to attempt such a feat. A second-best alternative — one that could potentially transform NASA back into the can-do agency it once was, and that it needs to be again if it is ever to attempt to reach Mars — is to reverse the retreat by reopening the lunar frontier. For this reason, the Trump administration has announced that it has set such a goal, to wit, that America should return to the Moon, this time to stay. Unfortunately, there is no evidence that this putative goal is meaningfully driving the administration’s actions. Rather, the administration is funding NASA at roughly the same levels as the Obama and Bushadministrations, while also continuing to approve the agency’s wasteful investment in useless projects. Astonishingly wasteful is NASA’s work on the Lunar Orbital Platform-Gateway (formerly known as the Deep Space Gateway). The gateway is a planned space station that will orbit the Moon, supposedly serving as an outpost for human explorations to the Moon, Mars, and deep space. NASA’s Orion spacecraft will serve as the module for crews to travel back and forth between the gateway and Earth. 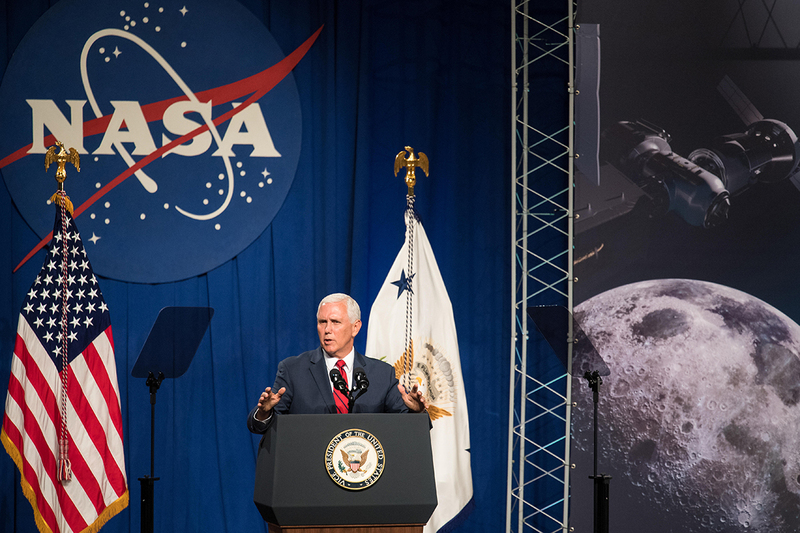 The agency currently projects that Orion would take its first crew around the Moon by 2023, while Vice President Pence has recently stated a goal of putting astronauts on the gateway by the end of 2024. Essentially, the gateway is a vestigial form of the Obama administration’s defunct and discredited Asteroid Redirect Mission (ARM). As NASA describes it, ARM’s aim was “to develop a robotic spacecraft to visit a large near-Earth asteroid, collect a multi-ton boulder from its surface and redirect the boulder into orbit around the moon, where astronauts would have explored it and returned to Earth with samples.” The Lunar Orbital Platform-Gateway is the ARM except with a space station instead of an asteroid, all to come up with something for astronauts to do in lunar orbit. The idea is silly. There is no need to have a space station circling the Moon in order to go to the Moon or Mars or anywhere else. And there is not much research worth doing in lunar orbit that can’t already be done on the International Space Station, in Earth orbit, or with lunar probes and robots. NASA claims the gateway would create an opportunity to test state-of-the-art propulsion, communication, and other technologies at a greater distance from Earth; tele-operated rovers could be sent from the gateway to the Moon; and planets and stars could be observed from a different vantage than from the ISS or current telescopes. But none of these activities requires human presence in lunar orbit. These are not reasons for having a gateway, but rationalizations. Like the ISS and the space shuttle but much more so, the gateway is a means in search of an end. If the space shuttle was a tragedy, the gateway is a farce. Even when we do go — initially only once per year for as little as 30 days at a time, says the agency — having crews stop at the gateway en route to the Moon will have no purpose other than justifying the gateway, but will hamper such missions by adding to their propulsion requirements. It will cost tens of billions of dollars, both up front for construction and later for maintenance, sapping funds and delaying any real accomplishments for many years without adding any meaningful capability. 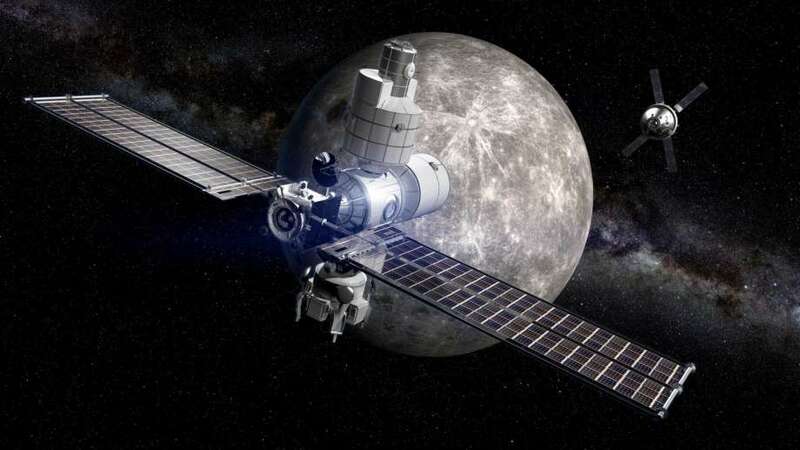 When we could be going directly to the Moon or Mars, the Lunar Orbital Platform-Gateway is a pointless project, more aptly named the Lunar Orbit Tollbooth. Entrants should file their design plan reports using the Design Submission Form located on the Mars Colony Prize website. During submission of their design, entrants will also provide confirmation that they are granting the Mars Society non-exclusive rights to publish their reports and agreeing to accept the decision of the judges as final. Reports should be in PDF form and use 12 point Times typestyle, 1” margins. To help expose you to some ideas you might want to consider, a number of papers, including preliminary plans for Mars colonies and their necessary subsystems, are available on the MarsPapers.org research paper archive by selecting "Human Settlement" or "Utilizing Mars Resources" in the Search >> Category dropdown box. You’re invited to participate in the Mars Society’s 2019 University Rover Challenge, the world’s premier Mars rover competition for college students. 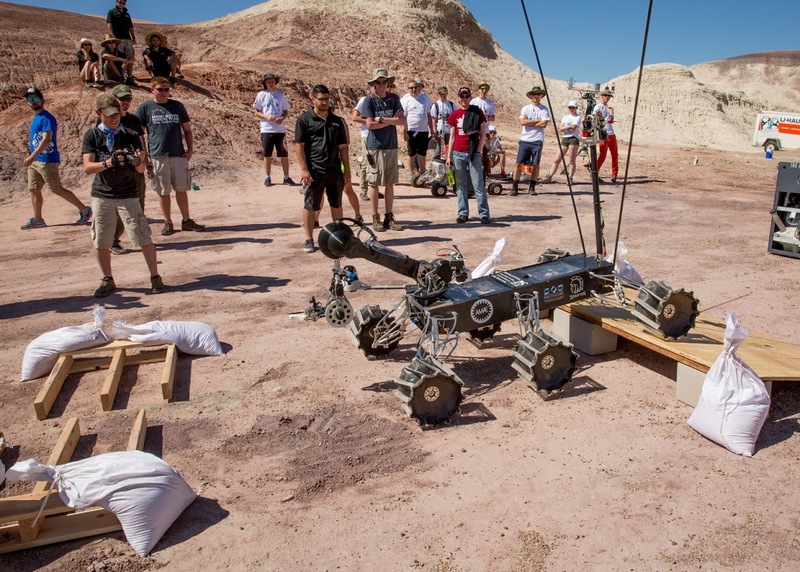 Held annually in the desert of southern Utah at the Mars Desert Research Station, URC challenges student teams to design and build the next generation of Mars rovers that will one day work alongside human explorers on the Red Planet. The next URC competition is scheduled for May 30 - June 1, 2019. The deadline for student team registration is Friday, November 2, 2018. To register or learn more, please visit: http://urc.marssociety.org/home/team-info. Join teams from around the world and show us what you've got! Sign up today! There's still time to apply as a crew member for the 2019-20 field season at the Mars Society's Mars Desert Research Station in southern Utah. Owned and managed by the Mars Society, MDRS is the largest and longest-running Mars analog facility on our planet supporting research in pursuit of the technology, operations and science required for human space exploration. To sign up, please visit: http://mdrs.marssociety.org/apply-to-field-season. The deadline for crew registration is Monday, November 5th (5:00pm MST). For any questions, please contact Dr. Shannon Rupert (srupert@marssociety.org). The Mars Society announced during last week’s 21st Annual International Mars Society Convention in Pasadena, California the premiere of its new online store, Shop@Mars, offering a variety of popular Mars Society-related items for sale. Typical in-demand Mars Society products such as pins, patches, magnets, water bottles, coffee mugs and t-shirts are currently available, as well as more unique items like a Mars tie and Mars-oriented holiday cards. Plans are already underway to expand the product catalog to include flags, caps, carry bags and other useful and fun items. “We’ve very proud of our new Shop@Mars online store, and this is just the beginning. Purchasing your favorite Mars Society gear will help us promote our organization and raise funds for local chapter development and special projects. It has been a long time coming, and we couldn’t be happier to finally get it off the ground,” said Mars Society Executive Director Lucinda Offer. In setting up Shop@Mars, the Mars Society partnered with Gooten, an innovative drop-shipping company that provides a technical platform for ordering high quality customized products at a very low cost. To learn more about the Mars Society and its mission, please visit the organization’s web site at: www.marssociety.org. Before last weekend’s Mars Society convention, a reporter asked me what I thought of the Trump administration’s plan to send astronauts to the moon. No doubt he expected me to explain why the Red Planet is a much more suitable goal, but I told him this was about more than the moon versus Mars. To read the full New Scientist commentary, please click here. [Please note] To continue reading this premium article, a subscription to The New Scientist is required. Existing subscribers can log-in via their regular account access. The Mars Society is pleased to announce that a formal debate on NASA’s proposed Lunar Orbital Platform-Gateway, a human-tended facility in orbit around the Moon, will be held at the 21st Annual International Mars Society Convention on Thursday, August 23rd at 8:00 pm in the Pasadena Convention Center’s main ballroom. The discussion will involve the following proposition: “Resolved: The Lunar Orbital Platform-Gateway is the right next step for NASA’s human spaceflight program to take to support the human exploration and development of space.” Speaking in the affirmative will be John Mankins, while arguing in the negative will be Dr. Robert Zubrin. John Mankins, President of Artemis Innovation Management Solutions LLC, is an internationally recognized leader in space systems and technology innovation, and is considered a highly-effective manager of large-scale technology R&D programs. In addition, Mr. Mankins spent 25 years at NASA and Jet Propulsion Laboratory working in fields ranging from flight projects and space mission operations to systems level innovation and advanced technology research and development management. 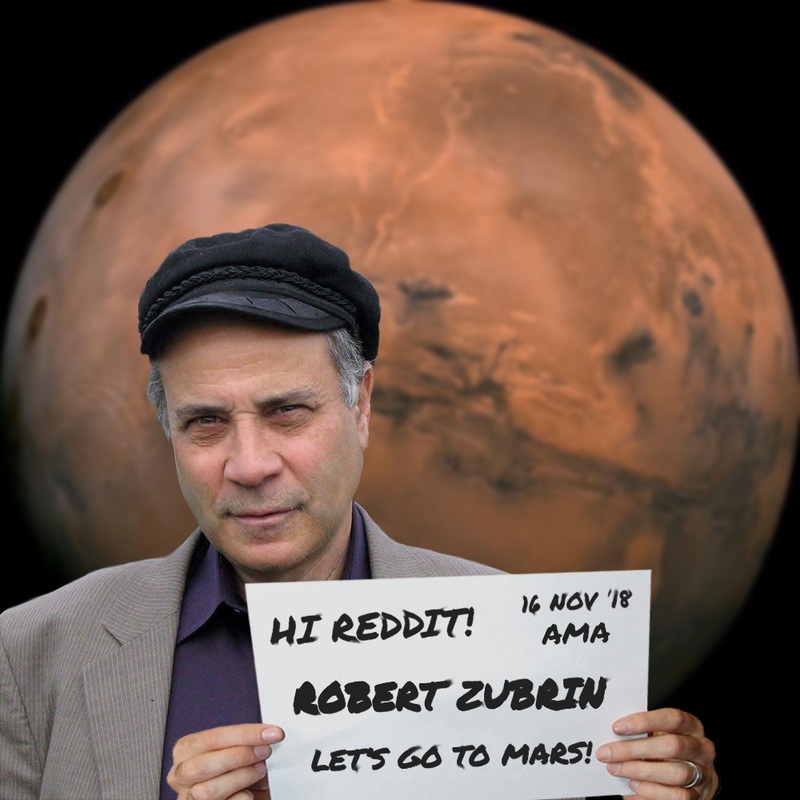 Dr. Robert Zubrin, founder and President of the Mars Society, is viewed as one of the world’s leading experts on the Red Planet and planning for human Mars exploration. He has authored numerous Mars-related books, including “The Case for Mars: The Planet to Settle the Red Planet and Why We Must”, and has testified in front of Congress on the future of America’s human space flight program. 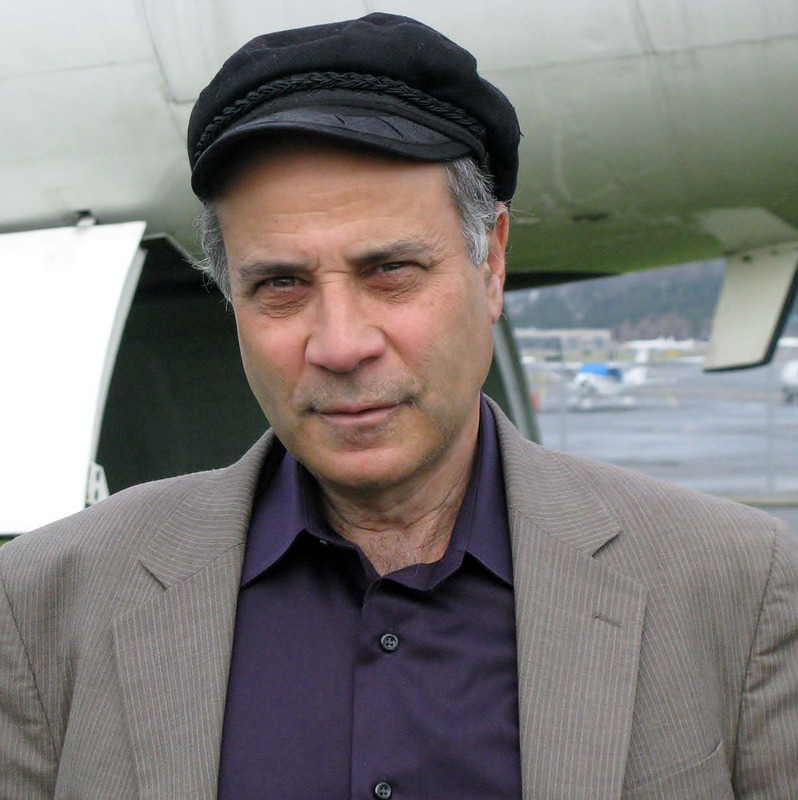 Dr. Zubrin is also President of Pioneer Astronautics, an aerospace R&D company, and served formerly as a staff engineer position at Lockheed Martin Astronautics. The Lunar Orbital Platform-Gateway debate is scheduled for one hour, allowing each side 20 minutes for an opening statement, 10 minutes for rebuttal and the remaining time will allow the speakers to take questions from the floor, with one minute answers followed by one minute rebuttals. The full event will be open to the public and the media. For more information about the 2018 International Mars Society Convention, scheduled for August 23-26 in Pasadena, California, please visit our web site at: www.marssociety.org. In 1998, Zubrin co-founded The Mars Society, a Lakewood, Colorado-based nonprofit, and in the years since has become an outspoken advocate for the establishment of a permanent settlement on Mars — and a harsh critic of what he considers NASA's stagnant human spaceflight program. Recently, NBC News MACH spoke with Zubrin about why he feels so strongly that humans should colonize Mars and that NASA shouldn't build a lunar "spaceport" — and why Mars exploration is so deeply personal to him. MACH: NASA has sent robotic landers and rovers to Mars. Why is it important to send humans? Zubrin: Humans are vastly more effective as explorers than robots. The most important questions about Mars are on the search for life, past and present. So we're interested in fossil hunting and we're interested in extinct life. Fossil hunting on Earth requires hiking long distances through difficult terrain, involves digging and pickaxe work. It involves delicate work, intuition, following up on clues. This is way beyond the ability of robots. 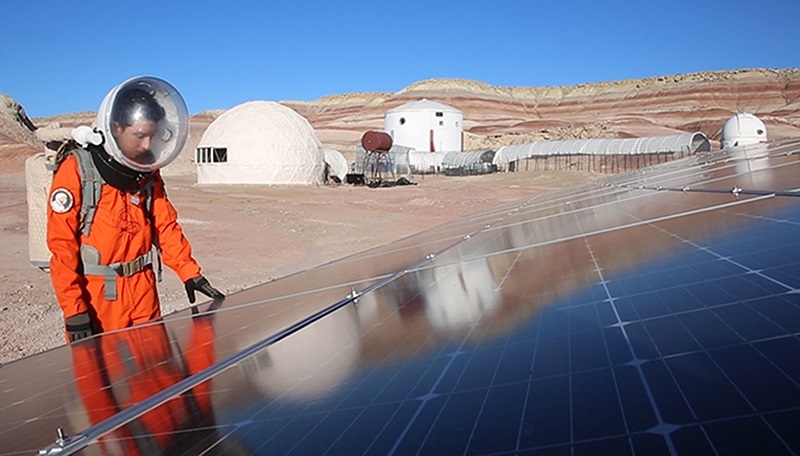 At the Mars Society, we've built two practice Mars stations: one in the desert in Utah and one in the Canadian high arctic. In the Utah station, on one of our earliest excursions, we were practicing exploring the desert as if it was Mars. We climbed down into this small box canyon and we explored it thoroughly and found this very curious-looking rock. We brought it back to the habitat and thin-sliced it, and it was definitely dinosaur bone. We reported it to the [Bureau of Land Management]. A few years later the BLM gave the data to some professional paleontologist who came and dug the place, and it's now the largest dinosaur bone find in North America in decades. I have to tell you, no wheeled rover could have even gotten into that canyon because it was a two-meter drop to climb down into it. As far as looking for extant life, we just discovered subsurface water on Mars — a subsurface lake. If there's life on Mars today, it's in the subsurface water. So you’d need to set up drilling rigs. Drilling down a kilometer — that's like drilling a deep oil well on Earth. These rovers can't do that. And bringing up the water, and putting it on culture mediums and trying to culture any organisms that are in it and then examining them under microscopes and doing biochemical testing — this is light-years beyond the capability of robotic rovers. If you really want to solve the problem and find the answer to the truth about life on Mars, we're going to have to send people. A mission to Mars is one thing, but why should humans settle the Red Planet? We should settle Mars in order to establish a new branch of human civilization or several new branches of human civilization. That will add to the strength and vitality of human culture as a whole. If you think about the spreading of western civilization to the Americas, the establishment of societies including the one that lead to the United States — Europeans got some profit, the Spanish got some gold from the Aztecs and there were some profits to be made growing tobacco in Virginia. But the real value that Europe and the rest of the world got out of the United States was a new branch of human civilization that demonstrated the value of democracy and invented electricity and the steamboat and the telegraph and the light bulb, and essentially generated electrical power and airplanes and nuclear power and computers and iPhones. In other words, we created a new creative society that has added tremendously to human civilization as a whole. We don't terraform Mars in order to abandon the Earth. We terraform Mars to have an additional Earth. What is the goal of the Mars Society? To further the exploration and settlement of Mars by both public and private means. That means supporting both robotic exploration and human exploration. And it mean supporting base building, settlement, the development of technologies that enable settlement and ultimately terraforming. It also includes supporting the development of launch technologies, transportation systems that allow us to get to Mars, power systems for use on Mars. What do you say to those who think we should settle the moon first? I disagree with that argument, but I can respect it. I can respect the people who say, "We should go to the moon, it's closer, we know how to do it, and there's a water ice near the lunar south pole which we could make use of to help us explore the moon.” If you did do that, it would certainly restore a sense of confidence and accomplishment to the human spaceflight program. But the Trump administration isn't doing that. If you're saying that you need to go to the moon before you go to Mars, then go to the moon. Instead, they come up with this ridiculous idea that before they go to the moon they will put a space station in orbit around the moon. You do not need a space station in orbit around the moon to go to the moon. You do not need a space station around the moon to go to Mars. If you build such a station, the bureaucracy would unquestionably impose a requirement on all lunar missions that they go there on the way to the moon because otherwise it would look ridiculous that you built this space station that you never actually use. That will make moon missions harder to do because it's easier to go straight to the moon. It's like somebody saying: Let's build an airport in Sherbrooke, Canada, and anyone leaving New York City has to stop there on their way to London. And sure, you could do that on your way to London but it's not helping you get to London. To say nothing of all the money you're wasting on this airport in an out-of-the-way place. The Apollo program generated tremendous excitement and fostered a sense of national unity. Could a mission to Mars do the same? When I was growing up, the government was able to do great things. My parents, my uncles, they all participated in World War II. While I was a kid, we were building an interstate highway system, and as a teenager, we were going to the moon. You had a political class that was united around such purposes. Since then it has severely degenerated. There's a real problem here. It goes way beyond the problems of the space program in terms of fixing the American political class. We could not build the interstate highway system today. Different factions would sabotage each other and prevent things from getting done. So it's going to take some real statecraft to put Humpty Dumpty back together again, in the terms of the U.S. government's capacity to undertake great projects. Of course, part of the reason why the American political class, in the period from the ‘40s to the ‘60s, was able to do great things was because they had been forged in the furnace of war. People understood how to get things done and how to work together. And while some of the people who did Apollo understood it as a step to human expansion to space, for much of the political class it was to win the Cold War. Perhaps we need that sort of challenge. Maybe if we're challenged by the Chinese or the Russians, or someone takes it seriously and they rally the nation that we are going to continue to be the vanguard of humanity, and we're going to celebrate our good deeds in newspapers and not in museums, maybe they can rally the nation. What role should commercial spaceflight companies play? Starting in the ‘90s you started to see private ventures, billionaires saying, "I'm going to open space this year, I'm going to start a rocket company.” There were several that were started that all failed during the ‘90s until [SpaceX CEO Elon] Musk came along and succeeded. Since I am well acquainted with those previous efforts as well as Musk, I can tell you why he succeeded and why they didn't. He didn't just throw some money at the problem and quit as soon as it got tough. He put not only his fortune but his heart, mind and his soul into it. He learned rocketry himself, and he didn't give up when his first three launches failed. Fortune favors the brave, fortune favors the tough and fortune favors the smart, and he had all three. He attracted a really superb team of committed people who began to see that this could really happen, that they could really make history by doing this, and they're doing it. Are any of the other spaceflight companies doing things that excite or inspire you? The one that comes to mind immediately is Blue Origin, which was founded by Jeff Bezos. They have a somewhat different approach. Their motto is: step by step ferociously, one step at a time. These guys are marching ahead at a steady pace. Musk is running a blitzkrieg. It will be interesting to see which one prevails, whether the careful step-by-step approach prevails or whether pedal to the metal is the one that gets us there. And I'm aware of other groups of people in Russia, for example, who would like to pull together a Russian SpaceX. There's certainly the technical expertise over there and the sources of capital. I have to believe that there are people in China who would want to do this, and you also have Virgin Galactic, which is being financed by British billionaire Richard Branson. And there's another called Stratolaunchthat is backed by Microsoft billionaire Paul Allen. I'm willing to bet right now that five years from now there will be at least 10 such ventures going on in the world. I am, I really am. It took me a while because I saw the difficulties that people who were trying to do this privately encountered in the ‘90s. In fact, I myself was involved in one such venture that did get off the ground a little bit but eventually failed about 10 years later. It's a really hard thing to do, but it's now been proven that it can be done. Once it's shown that it can be done — it's the belief that something can be done that is the key to being able to do it. This seems very personal to you. Why is that? That's an interesting question. First of all, it's important that we embrace this kind of future, an expansive future. I think it's important not just to the future but to the present because if people think that we're confined to the Earth and there's only so much to go around, it sets nations against each other. It's a setup for another world war, the belief that there's only so much to go around. I've believed for a long time, that even in the ‘60s you could see the two different choices being laid out: the “Star Trek” future or the "Soylent Green" future, and one was magnificent and the other was horrible. For a while in the ‘60s, it seemed like we were well on our way to making this happen. I was 17 when we landed on the moon, and if anyone had told me then that I'd be 66 and we wouldn't have cities on the moon and Mars, I would have thought they were just nuts, because the vision we had of what the future was going to be certainly included human expansion into the solar system. And at the rate we were moving in the ‘60s, it certainly would have happened. But it was stopped and I don't know that I can say I accepted it. In the ‘80s, I went back to graduate school and became an engineer and became acquainted with some other people of my own generation who basically had the same thoughts and had basically started this thing to try to recommit the nation to taking on this sort of challenge. And I picked it up. People sometimes ask me: do I want to go to Mars myself? Sure, but I don't think I'll have that chance. I might have had that chance had the space program continued at its Apollo speed. I would have been just the right age to participate in such an effort, but that didn't happen. But if I can do something significant to help make it happen sooner or later, that's good enough for me. The Mars Society is pleased to announce that it will be hosting an exciting and timely panel discussion on the new Mars-driven Hulu original series, The First, as part of its 21st Annual International Mars Society Convention, scheduled for August 23-26, 2018 at the Pasadena Convention Center. 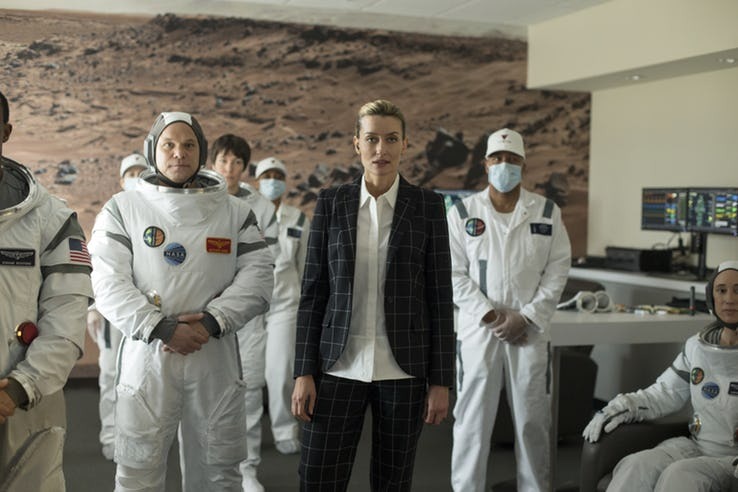 Actors Sean Penn and Natascha McElhone lead an ensemble cast in this near-future drama about a crew of astronauts attempting to become the first human explorers on the planet Mars. Under the direction of a visionary aerospace magnate, the crew contends with peril and personal sacrifice as they undertake the greatest pioneering feat in human history. According to Hulu news, The First will premiere on Friday, September 14th as part of its growing web programming. Please register online today for this year’s International Mars Society Convention, and contact us (info@marssociety.org) with any event-related questions. We look forward to welcoming you to Pasadena next week.